These are like backpacks used for storage for MedKits only. As sold, each contains a total of 16 different MedKits. 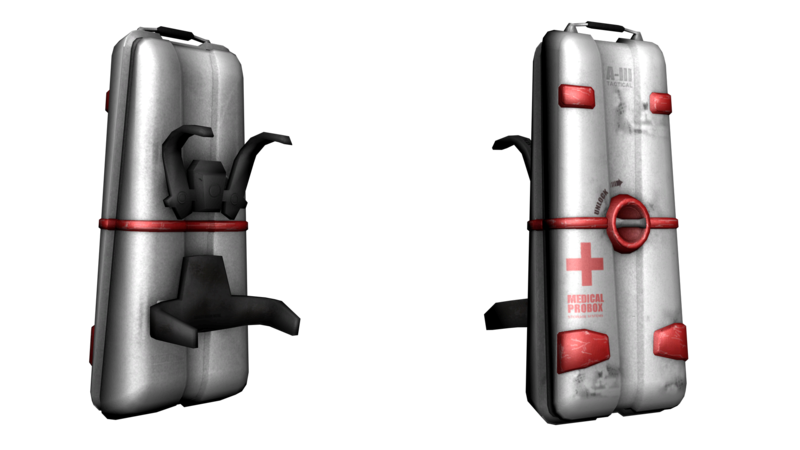 They can be found in various places in the game world, and contain various types of MedKits. Once spawned, they are marked by Red beacons. These beacons pulse when items are replenished in the pack.